The brachial plexus is a network of nerves in our neck and shoulders. These nerves carry electrical signals from the brain and spine to the muscles in the shoulder, arm, and hand. An injury to the brachial plexus injury occurs when these nerves are compromised. The plexus is formed by five nerve roots which exit the spinal column through the C5, C6, C7, C8 and T1 vertebrae. These five roots form three trunks. So C5 and C6 combine to form the upper trunk. C7 continues by itself as the middle trunk, and C8 and T1 combine to form the lower trunk. Each trunk performs different tasks for normal function. The upper truck, C5, and C6, control shoulder range of motion. The middle truck, C7, controls elbow and wrist extension, digital extension and pronation. The lower truck, C8, and T1, control grasping and fine motor functions. These nerves send messages that allow movement and sensation to reach the arm. If the path of the nerve is compromised, the signals from the brain will not reach the individual muscles in the arm which will limit the normal use of the arm. If the damages are severe, there can be paralysis of an entire arm. Approximately 75% of birth-related brachial plexus injuries involve C-5-C7, including the upper and middle trunks of the plexus. They and are clinically recognized as an "Erb's palsy." What is the Mechanism of a Brachial Plexus Injury? The mechanism of damage for brachial plexus injuries during childbirth is the same as how most brachial plexus injuries occur in adults. We are moving in one direction, and we go against an immovable object. The shoulder or head is held by that immovable object, and the rest of our body keeps going out. So the mechanism in childbirth is often attributable to extreme lateral flexion of the infant's neck when the shoulder is stopped most often at the pubic bone which happens in shoulder dystocia that the OB/GYN knows or should know coming. Brachial plexus injuries occur about 15% of the times that a shoulder dystocia is encountered. How Common are Brachial Plexus Injuries in Neonates? The incidence of brachial plexus during childbirth has been reported at between 0.13 and 3.6 cases per 1000 live births. Why is the range so wide? Often these injuries can resolve on their own, and it can take some time to know whether there is a brachial plexus injury to the child. Only 5% to 20% of brachial plexus injuries are severe enough to cause a permanent arm injury. 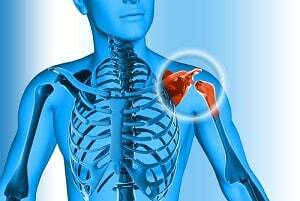 When Do You Know a Brachial Injury is Permanent? Healing of nerve damage may occur over a two-year period although one study suggests that 93% of patients who reach full recovery will do so in four months. Still, with a newborn, it is hard to tell. The only way to know an injury is temporary is letting this time pass unless you conduct testing. An MRI will show nerve root avulsion. Nerve resection surgery would also likely reveal the extent of the damage. But, more typically, the answer comes with time. Where the injury is permanent is relevant to causation. Resolving brachial plexus injuries are far less likely to be the result of a medical error. It makes sense, right? Natural force can lead to a small intrusion that resolves. So while brachial plexus injuries can occur with negligence, a permanent brachial plexus injury will almost invariably not occur on an intrauterine basis with a healthy and anatomically normal fetus as a result of merely maternal expulsive forces. How Much Force is Necessary to Cause a Brachial Plexus Injury? Brachial plexus injuries in neonates are usually the result of excessive lateral traction OB/GYN. The precise amount of force required to rupture a fetus or newborn's brachial plexus is unknowable. We could never design a study to test the level of force that can cause an injury. But the literature is clear that excessive lateral traction in an attempt to release shoulder dystocia is the most common cause of obstetrical brachial plexus palsy. For a brachial plexus injury to be permanent, the degree of force applied to the child's head and the amount of stretch on the brachial plexus is more powerful than material expulsive forces. In other words, how much did the nerve roots stretch? If they stretch just a little bit, the roots can bounce right back. If they stretch more, then fiber-optic cables begin to tear, causing permanent injury. An even greater stretch causes the roots to tear apart in two places which can be a life-altering injury. How much actual force is required? While they cannot do studies on life babies, cadaver research suggests that the upper brachial plexus needs 40 pounds of lateral force on the head to cause a rupture. What Causes Parents to Suspect a Problem? Almost a hundred percent of brachial plexus cases you will have a flaccid arm. This means that does not move and stays floppy. Will a Brachial Plexus Injury Occur in Utero? A brachial plexus injury is unlikely to occur in utero. Why? These are stretch injuries. This is the pulling apart of the muscles. An injury like this to an infant is going to happen during childbirth. You often even see a hematoma inside the muscle where the muscles have been pulled apart. You also cannot move the head sideways in utero because there is no type of pulling mechanism that can cause this kind of injury. Although some defense lawyers and experts make this in utero brachial plexus injury argument at trial, there are no peer-reviewed studies suggesting that this is how these injuries occur. According to the literature, most obstetric brachial plexus injuries are related to traction applied by the clinician during childbirth. How Often is Shoulder Dystocia the Cause of a Brachial Plexus Injuries? Brachial plexus injuries do occur in the absence of shoulder dystocia and even in the absence of traction to the fetal head. But the medical literature is clear that "brachial plexus injuries remain the near-exclusive domain of shoulder dystocia-complicated births." In the history of medical literature, no treating obstetrician alone has ever documented a permanent injury without shoulder dystocia or traction to the head. The reason for this is that mechanically, it is not possible for uterine forces to stretch the fetal brachial plexus nerves to cause a permanent mechanical injury in a cephalic delivery. What Is the Settlement Value of a Brachial Plexus Injury Claim? If you have a child who has suffered a permanent injury from a mistake made during the birthing process, you want to do everything you can for your child. This absolutely involves trying to get as much money as you can for your case. You could look elsewhere on our site where we have sample verdicts and settlements and calculate an average. But that would not be useful. The most important questions in valuing the case are what is the extent of the injury, how much economic harm will there be and what the caps on non-economic damages are in your state. Miller & Zois is based in Baltimore, Maryland. We handle serious brachial plexus cases in Maryland and throughout the country. If you think you might have a brachial plexus injury case, it is hard to argue that you need the best possible lawyer to investigate and potentially handle your claim. Call Ron Miller or Laura Zois today at 800-553-8082 or get a free online case evaluation.